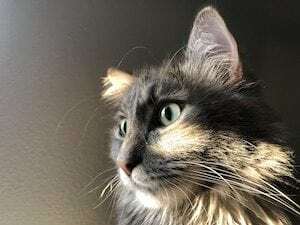 Chances are you have a furry member of your family. All mammals have an ednocannabinoid system to help maintain balance within the body and optimize proper functions. Your furry friend can provide perks to your overall health and wellness too. This is probably one of the reasons 68 percent of all households in 2017 within the United States own pets. Playing with animals, especially puppies, has been shown to increase levels of serotonin and dopamine, which are the hormones that make you feel good. When the hormones are released, it helps reduce stress levels and can help improve memory and concentration. Owning or interacting with animals can have many other benefits to your health and fitness. Most are considered a member of the family and provide unconditional love and support. Because our companions do so much for us, it is our responsibility to provide top notch care for them. For many, cannabis can improve their quality of life. Since our pets have their own endocannabinoid system, cannabis can provide cannabinoids that are essential for their overall health. If you keep your pet active and healthy, they will return the favor for you. Pet owners, especially dog owners, are more likely to be physically active and less likely to be obese because of the responsibility to take your dog outside on regular walks. 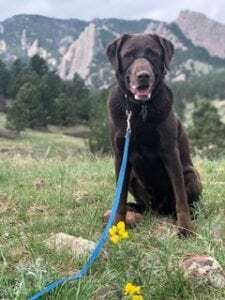 Adding a cannabis supplement, such as CBD oil or hemp oil, into your furry friends’ daily routine can boost your pets’ energy levels for those daily walks. CBD and hemp oils are non-psychoactive and will provide your pet relaxation over intoxication. These oils have been shown to help with anxiety, cancer, pain and inflammation, increasing appetite, those with epilepsy and more. Cannabis is natural and effective at improving the quality of our companions’ well-being, so they can keep improving ours. In addition to regular phsycial activity during walks or playtime and boosting our moods, our pets can improve our social lives. Taking your dog on regular walks can help you interact more with your community and other pet owners, which can benefit your mental health. Actively walking your dog or playing with your cat will help reduce your blood pressure in addition to petting and interacting with them. Children with the opportunity to have an animal family member have been shown to suffer less from allergies and develop higher levels of empathy and self-esteem. A study from the University of California, Davis found that kids who spent time reading to dogs saw a 12 percent improvement in their reading skills, when compared to those who did not read to a dog. As an added bonus, if dogs waiting adoption were read to it improved the dogs’ social interaction and adoptability into their forever home. Since our pets have the ability to improve our fitness, relieve stress, reduce blood pressure, relieve depression, improve our social relationships and more. Why wouldn’t we want to provide the best care for their health and happiness? When choosing a cannabis product for your pet, make sure to do your research and choose a high-quality product. Consulting with your veterinarian could provide valuable resources and advice. 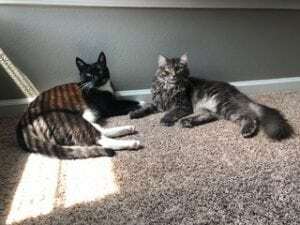 I have two feisty cats, Aspen and Forest, who help keep me active and happy. I occasionally take them on walks outside while on a leash, but they mostly keep me on my toes wanting to play around the house. When they’re not playing with each other or sleeping, Aspen enjoys playing fetch with his toy mouse and Forest loves chasing his favorite string toy. They are always up to play, which helps keep myself and my husband active. 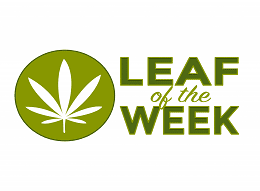 We give them hemp oil as a daily nutrient for optimal health and preventive measures against diseases. It’s as easy as adding the oil to their food and treats or adding CBD infused water as a refreshment. I also use a balm on their paws. 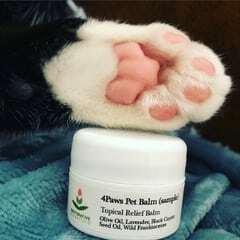 The balm provides comfortable moisture to their paws. We consider them valuable members of our family and want to keep them as happy and healthy as possible, so they can return the favor for us!